Muriel (Pat) P. Brown, age 93, formerly of Alden Avenue, New Haven, beloved wife of the late George Brown, entered peaceful rest on Thursday, January 25, 2018, in the Willows of Woodbridge in the presence of family members. Born in Millburn, NJ, on August 2, 1924, she was a daughter of the late James and Annie (Eden) Patterson. Muriel was a registered nurse, working in nursing homes in New Haven, and retiring from the Grimes Health Center at the age of 82. She took a great deal of pride in the accomplishments of her children, grandchildren, and more recently her great grandchildren. She enjoyed reading mysteries, doing crossword puzzles and cheering on the UCONN Women’s Basketball team. Above all else, she loved spending time with her family, and will be remembered for her energy, independence and interest in the world around her. Survivors include her loving children, Martha Scibek and her husband Stanley of MA, Kenneth Brown and his wife Susan of NJ, Geoffrey Brown and his wife Susan of MD, and David and his wife Susan of FL; sister, Eileen Pope of KY; nine grandchildren, and seven great grandchildren. In addition to her husband, George, she was predeceased by her brother, James Patterson, and grandson, Kevin. Funeral Services will take place on Saturday, February 3, 2018 at 10 a.m. in the Seymour United Methodist Church, 90 Pearl St. Seymour, CT 06483. Interment will follow in Southford Cemetery, Oxford. There will be no calling hours. The Ralph Hull Funeral Home, 161 West Church St. Seymour, CT 06483 has been entrusted with her arrangements. 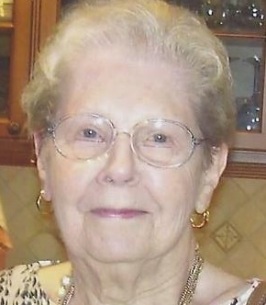 Donations in her name may be made to the Connecticut Food Bank in care of the funeral home. 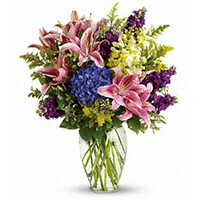 To send flowers to the family of Muriel P. Brown (Patterson), please visit our Heartfelt Sympathies Store. We encourage you to share any memorable photos or stories about Muriel. All tributes placed on and purchased through this memorial website will remain on in perpetuity for future generations. In memory of Muriel Patterson Brown, my sympathy to her family.